That's it! 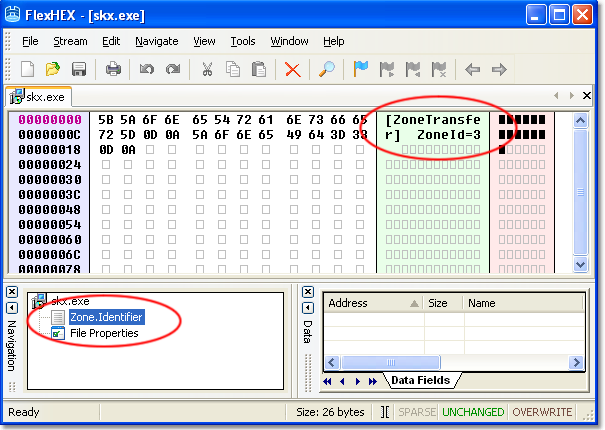 You can see that the Web browser added a stream named Zone.Identifier, containing the file zone ID. Easy to guess, ZoneId=3 means danger. Delete this stream, and the file will magically become a good old local file, not in any way suspicious. If you are interested to learn more about NTFS named streams, you can find a detailed discussion in the article NTFS Alternate Streams: What, When, and How To.